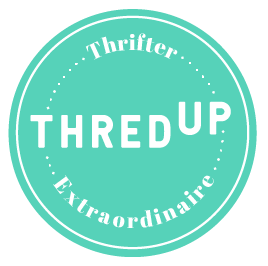 Starting today, I will have a weekly Thursday feature called Fabuless Thrifter! 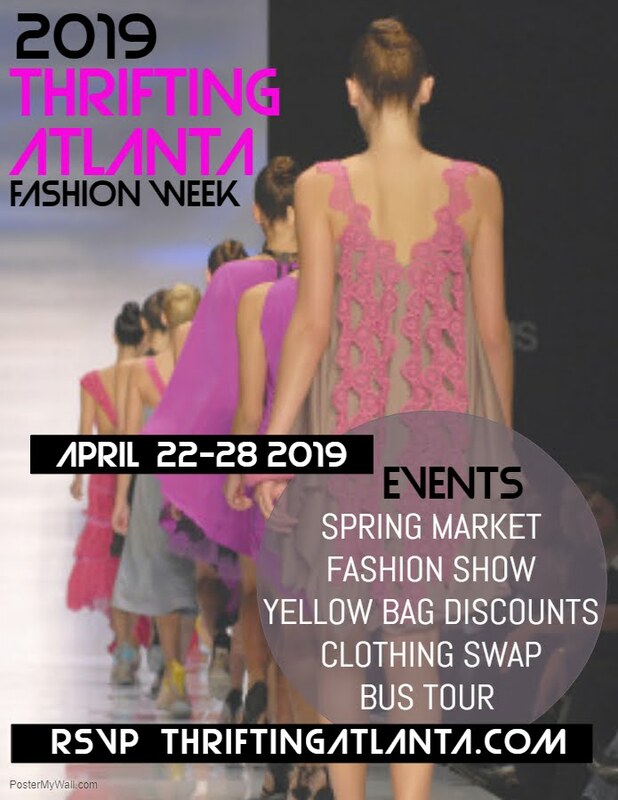 The goal is to provide more thrifting inspiration, give you insight about thrifting and showcase how others style their favorite thrifted pieces. Our first Fabuless Thrifter is Shakiyla of I Wanna Be Fierce. 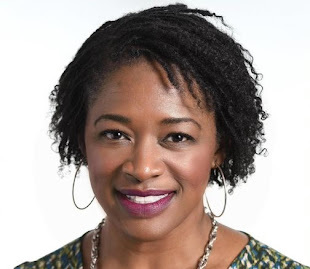 She is from New York and frequents thrift shops along 23rd street, namely the Goodwill, Salvation Army and Housing Works. 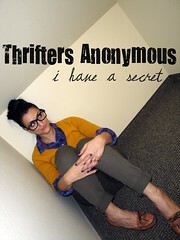 She considers herself a newbie to thrifting but is already addicted to it! She said the most exciting thing about thrifting is having the opportunity to find unique pieces that are timeless and cost friendly. " I just love it when someone says “oh where did you get that” and I can proudly answer, from a thriftshop," she said. "They are almost always surprised." Shakiyla of I Wanna Be Fierce. One of my favorite pieces in this outfit would have to the bag. My Grandma gave me this bag about a year or two ago. I find myself reaching for it just about everytime I head out the door. This outfit creation was inspired by my need to try the pastel blocking trend. I saw so many bloggers and vloggers pull off the look with a hitch so I thought why don't I try it for myself. One of my most adored “fabuless” finds would have to be my knitted black blazer adorned with gold buttons. It just so happens that this is one of the first items I purchased when I started thrifting. I chose it for its timeless appeal and its chanel esque look. Whenever I wear it, I always feel like I’m wearing it for the first time. 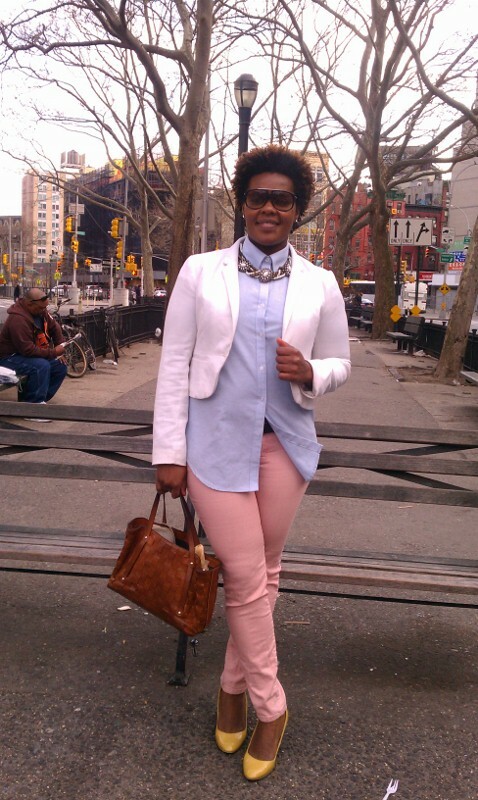 What do you think of Shakiyla's outfit and the way she styled it? You look fabulous and love the colors in this outfit! Very very chic!! Especially since her entire outfit was under $100 which is always a plus in my book. I've been looking for a pastel oxford so I definitely plan to visit some thrift stores this weekend. High 5 to my fellow thrifter but let's talk about why I never find any great trendy jeans in Goodwill. Can I go shopping with Shakiyla? @hopegrant yes this outfit looks so effortless. Any luck finding a pastel oxford? @ktsdivamom yes finding some great fitting colored jeans is a definite treasure hunt..but scoring one is a the biggest reward! You definitely have some great pieces on your blog!